stamptacular sunday Challenge - Challenge #26: "Tag, You're It!" SPCC - Are You Ready to Hop??? Oh I just love it! Great project. Thanks for playing along this week in the Belli challenge. Wonderful use of the leaves! Thanks for playing along with the Cupcake Inspiration Challenge!!! Great job, I love the autumnal colours. Thanks for joining us at SSC. very pretty irit!! thanks for playing at teh shoe again!!! so cute! love all of your leaves! thanks for playing along with us at the Shoe! On behalf of the design team, thank you for playing @ PPA. Thanks for joining us at SSC this week. 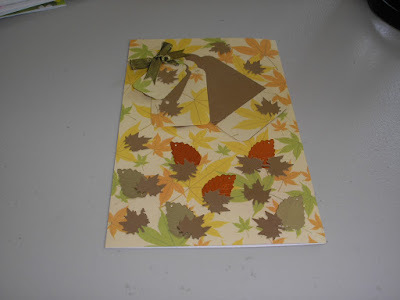 Thanks for joining us at Crafty Creations with this lovely card!! Thanks so much for joining us at Stamptacular this week! See you again soon!